Home » Who is Goldies Parade? Goldie’s Parade – the song – is the 8th track on the NPG’s GoldNigga album. This site was named in honour of that little known album and to draw credit to its greatness. The most well known songs from GoldNigga are 2gether, which was also released on the much overlooked 1-800 New Funk compilation, and, of course, the fantastic – Johnny. Goldies Parade – the website – was launched in 1998 back when Newpower Soul was Prince’s about to be released new album, and when Excite was a bigger search engine than Google. 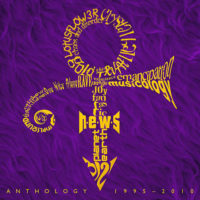 Goldie’s Parade – the alter ego – championed Uptown magazine’s counter-suit against Prince in 1999 over its use of the Prince love symbol (Prince love symbol). I have throughout my entire life seem to have always known Prince’s music. Since the early 1980s when watching Prince perform Little Red Corvette on TV I found the music, the showman, the spins and flying splits totally captivating. But my Prince epiphany did not come until 13 December 1991 when watching an Omnibus special on the BBC, when on the following morning I rushed to Our Price to buy my first Prince album, Diamonds And Pearls, which had just come out. It was at that exact point I became a fan and set about feverishly collecting his then back catalogue of twelve albums, discovering ever more I had not known of before, such as Dirty Mind, For You, and Controversy. I was fascinated how different Around The World In A Day was to Purple Rain; how I was only previously aware of one song from Lovesexy; that Graffiti Bridge had all but passed me by; and the shock discovery that D.M.S.R. was missing from my copy of 1999 and then immediately purchasing a later pressing to rectify that. I captured all Prince’s albums and quickly came to cherish them and admire how each was so different to one another: their diversity and the fact we got one album, sometimes two a year. Then I discovered the related artists, my musical horizons expanded as I had never imagined would be. And so in 1998 I created this website dedicated to his work and to the music that forms the soundtrack to my life and countless of others. Quoted even by MTV, GoldieParade.co.uk is on a mission to bring fans up-to-date and straightforward digest of the real uncensored news on what they want to hear about the greatest musician in living memory. This site is completely mobile friendly to keep you updated when you are on the road or more importantly, at the shows. Prince has a great knack of hiring band members who are both extremely friendly and love what they do. This website is also homage also to their work. The Revolution. New Power Generation. Hornz. Diamond and Pearl. We fondly remember you. 1. Goldies Parade is a non-profit making and completely unofficial and independent Prince fan site and does not have nor pretends to have approval from or affiliation with either Prince, Prince love symbol, Warner Brothers Records, NPG Records or and other record company, Paisley Park Enterprises, The Prince Estate or any of their associated subsidiaries, executors, imaginations, websites or affiliates; of whom their copyrights, including trademarks and images, are respectfully acknowledged – as is the freedom of speech and the public domain. The images displayed is to convey their pertinence to the subject and are observed under fair use. 2. All information contained on this website and the opinions expressed or implied in its pages are those of this website, goldiesparade.co.uk, is unofficial and not affiliated in any way with the people or organisations listed in clause 1 above. 3. 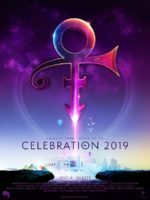 This website is neither a mouthpiece, nor responsible or necessarily endorses the views of Prince, his estate, or the content contained within any web pages, (as referred to in clause 1) displayed or accessed from any page on this website. 4. You acknowledge and accept this statement by further browsing this website or spending any further duration of time anywhere on this website’s domain. 5. If you do not wish to comply with or acknowledge this statement you must close this website in your browser or device. No correspondence will be entered into. See also our policy on privacy. 6. Speaking of copyright, because of the sheer number of hours that it took the design, code, maintain and produce content, goldiesparade.co.uk is observed under copyright.